Select a size: 0.23 Oz. 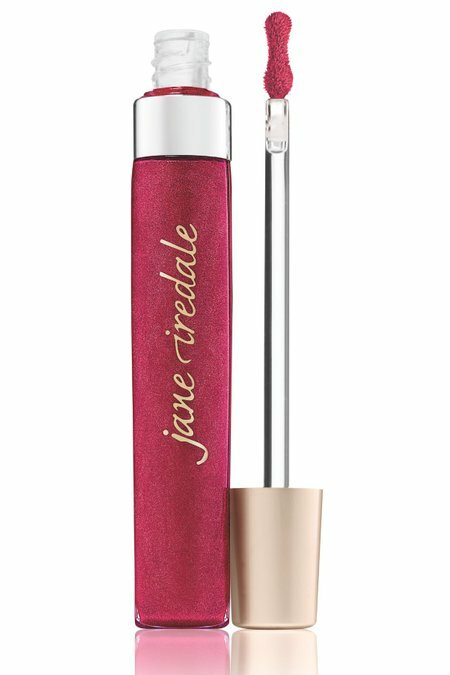 This next-generation lip gloss from jane iredale drenches your lips in a sheer wash of hydrating color with a new non-sticky feel and fresh citrus flavor. · Keeps lips lusciously hydrated for hours with nourishing moringa butter, lotus flower and avocado oil. · Ergonomic applicator ensures a creamy, dreamy glide of color for a precise pout. · To-die-for taste from lemon peel, tangerine peel and pomegranate extracts. Triisostearyl Citrate, Persea Gratissima (Avocado) Oil, Moringa Oil/Hydrogenated Moringa Oil Esters, Helianthus Annuus (Sunflower) Seed Oil, Jojoba Esters, Moringa Pterygosperma (Moringa) Seed Oil, Punica Granatum (Pomegranate) Extract, Rubus Fruticosus (Blackberry) Fruit Extract,Citrus Aurantium Dulcis (Orange) Peel Wax, Euphorbia Cerifera (Candelilla) Wax, Lotus Corniculatus (Lotus Flower) Extract, Ascorbyl Palmitate, Tocopherol. [+/- (May Contain) Mica, Red 30 Lake (Ci 73360), Red 7 Lake (Ci 15850)(Aka 202), Iron Oxides (Ci 77489, Ci 77491, Ci 77492, Ci 77499), Red 6 Lake (Ci 15850)(Aka201), Titanium Dioxide (Ci 77891)] Please be aware that ingredient lists may change or vary from time to time. Please refer to the ingredient list on the product package you receive for the most up-to-date list of ingredients.